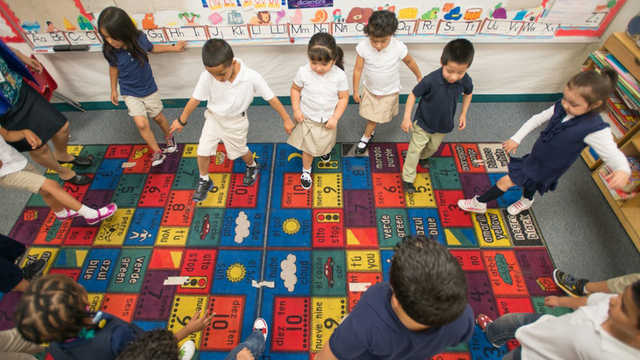 Texas will not receive a share of $250 million in federal funding marked to help states expand preschool programs, the U.S. Department of Education announced Wednesday. Among 35 states that applied for competitive grants available through the Obama administration's Preschool for Allinitiative, Texas was eligible to receive up to $30 million annually over a four-year period if it had been selected. The money is part of the $1 billion in early education funding the president is set to announce Wednesday. That figure includes $500 million in federal dollars for Early Head Start and child care programs and $330 million in private money from corporations and philanthropic foundations. Texas' high class-size ratio — twice the recommended 10-to-1 child to instructional staff ratio — was among the areas federal reviewers dinged when examining the state's application,according to documents from the U.S. Department of Education. About half of the states that applied for the grants received funds. When Texas applied for the grant in October, Education Commissioner Michael Williams said the money presented an opportunity to build on the success of existing programs in the state. Such programs pay for half-day preschool for students from low-income, non-English-speaking or military families.